React AI are undertaking a £250,000 research programme into aspects of connected and autonomous vehicles (CAVs), as part of the Flourish project. CAVs are a type of robotic system, and we see Flourish as the perfect means for developing our software and applying it to the real world. 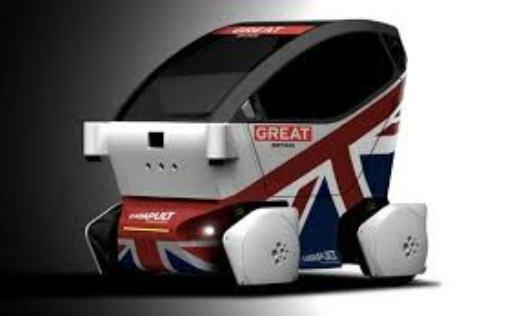 Amongst other aspects of the project, we will be working with the UK government’s Transport Systems Catapult to provide AI capability to an autonomous ‘pod’ vehicle. 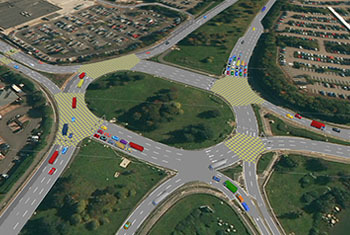 To investigate the future impact of connected vehicles, the Flourish consortium has produced a micro-simulation of the Bristol region. Working with Atkins, this has been integrated with React AI’s cloud-based service to investigate the potential for neural networks to leverage the messages connected vehicles will produce, in order to produce accurate forecasts of traffic congestion. As part of React AI’s research, video data will be collected from the Pod for analysis during the Flourish trials. This will take place at the Frencham campus of the University of the West of England in June 2018. The video data could potentially allow identification of individuals, and so counts as personal data. The data will be used to train a neural network model to identify its location along a route populated by passing members of the public, using much lower amounts of training data than more traditional neural net methodologies. We hope to use this research to create AI technology which allows CAVs and other robotic systems to interact safely with people in unstructured enviroments. All the data will be recorded from public spaces, and will not be passed to any third parties or used to identify any individuals. If you want to know more or think the collected data may impact you, you can get in touch using the contact form below.